NETTELHORST SCHOOL DISTRICT! WALK TO ALL THAT LAKEVIEW HAS TO OFFER INCL SOUTHPORT CORRIDOR FROM THIS IMMACULATE 3BD/2.1BA DUPLEX W/PRIVATE DECK & SHARED GARAGE ROOF DECK;COVETED 2BD UP & HARDWOOD FLOORS T/O MAIN LIV AREA;UPDATED EAT-IN WHITE/GRANITE/SS ISLAND KIT W/BREAKFAST BAR OPENS TO LARGE LR W/TRUE SEP DINING AREA & FIREPLACE;SPA-CALIBER STONE BATHS INCL DOUBLE BOWL VANITY,SEPARATE SHOWER & SOAKING TUB IN MASTER;IN-UNIT W/D IN OVERSIZED LAUNDRY CLOSET;TONS OF PROF ORG STORAGE T/O INCL HUGE WALK-IN CLOSETS IN MASTER & LL GUEST SUITE;BRIGHT OVERSIZED FAMILY ROOM IN LL W/ADD'L FIREPLACE;GARAGE PKG INCLUDED! SchoolsClick map icons below to view information for schools near 3453 N Racine Ave #1N Chicago, IL 60657. Home for sale at 3453 N Racine Ave #1n Chicago, IL 60657. Description: The home at 3453 N Racine Ave #1n Chicago, IL 60657 with the MLS Number 10269046 is currently listed at $560,000 and has been on the Chicago market for 67 days. 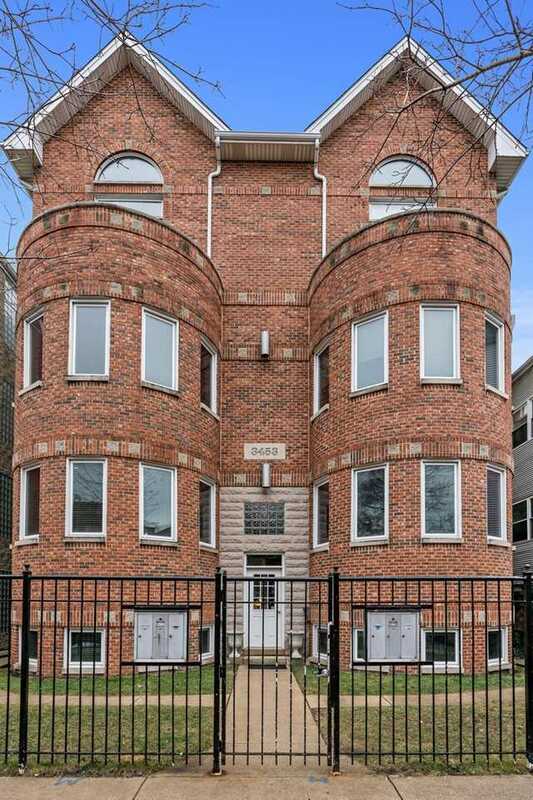 You are viewing the MLS property details of the home for sale at 3453 N Racine Ave #1n Chicago, IL 60657, which includes 3 bedrooms, 3 bathrooms and has approximately 0 sq.ft. of living area.